My name is Mrs. Bach. I have been teaching here at Scotland Elementary School for over five years now. I enjoy teaching Art. I have a Masters Degree in Art Education. We are fortunate to have a kiln and all ages make several ceramic pieces during the year. I will guide students to discovery of the creative process with a variety of media. 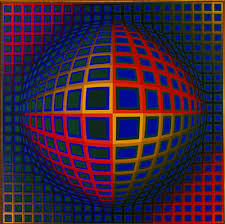 I have lived overseas and traveled to many areas of the world, viewing first hand many art treasures in person. I live with my husband, my two children who are in college and my four year old granddaughter. In addition, I also have my Morgan horse, my miniature horse, a border collie, cat and even a pet turtle. Mona Lisa is introduced to the class.The Kindergarten classes will be discovering line, color, and shapes with a variety of media. We will be drawing, painting, making collages, printmaking and making clay pieces. The kindergarten classe will be discovering the different forms of media with a literacy link added to the lesson. An apple print will have the word apple written on the front or the back of the paper. Very often a book will be shown or read to the class that refers to the lesson in some way for example; “Apples and Pumpkins” by Anne Rockwell. The classes will be drawing, adding collage, printmaking and working with clay. 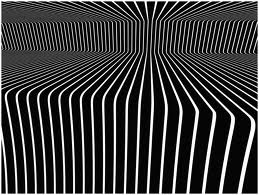 The class will be reviewing line, color, and form.We will be using paint in different ways. Drawing painting and printmaking will be explored. We will make a pinch pot. We will be talking about the Stone Age and early Art of man. We will make a rock art project. Artists will be mentioned that work in a media style that we used in class. 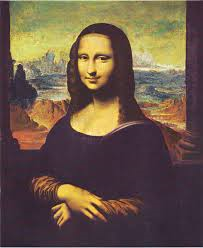 Leonardo de Vinci, Grant Wood, Picasso, are some examples.The class will be studying various Artists that have a style or technique that we will talk about and try to include in our work. We will see some famous paintings of Monet, Van Gogh and Gauguin. We will make a pastel and watercolor picture inspired by the Artist Monet and the gardens of Giverny. Leonardo de Vinci and the “Mona Lisa”are shown and the children tell me who she is and who painted her. The third grade class will be studying the elements and principles of design and will have a focus on the continents and cultural art. We will discuss and study North American Artists and then Central – South American Molas from Panama.Then we will study Australia and the Aboriginal Artists. This Art will have new painting techniques and contrasting colors. I will have the class make a clay piece that will be using Aboriginal style designs. In these Art Classes we will continue on with the Elements and Principles of Design. 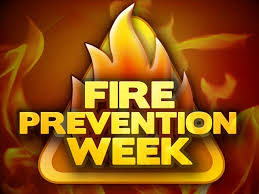 The first project will be to design a poster for the Fire Prevention Week. It must have the phrase “Fire Prevention Everyone Everyday”, shown clearly on the poster. I stress that lettering needs to be clear and neat. The poster also must have a clear message for fire safety. This is the first year for the fourth grades to have a poster in the contest. These Grades will be introduced to various Artists both Classical and Modern Day that we will use to inspire our own work in class. The Op Artists, Riley, Escher, and Vassarely, will be observed during our first design project. The class will make a simple design repeat that design in 2D on paper and printmaking. Then will use the same idea for a piece in 3D. This will evolve the design sometimes and lets the students see the creative process for themselves. They will also see what media best suits them best and what they need to work on more to improve.